This article was co-authored with Amy McKee, Sr. Director of Global Talent Acquisition, and Matthew Jeffery, Head of EMEA Talent Acquisition & Global Talent Brand, at Autodesk. Mobile …finally! DNA footprints in the cloud; recruiting back to basics: getting to know the candidate; the end of the traditional ATS; emerging markets dominate; augmented reality; disruptive marketing and stunt PR; the end of social media; candidate cloning and the end of recruiters as we know it! The impact and level of debate created by Recruitment 3.0 & 4.0, certainly took us by surprise. Based on feedback, it is clear that there has been healthy discussion and many companies have re-appraised/reviewed their recruiting strategies. Recruitment 5.0 is the final paper in the trilogy. 3.0 was all about building. 4.0 all about driving value. 5.0 is all about … Personalization, self-sufficiency, predictability, big data, and back to basics. Mobile recruiting finally takes off and becomes the dominant channel. Recruiting gets back to basics and focuses on building relationships. Included in this is a focus on personalization/humanization and dominating/driving communications. Data DNA: Companies draw data to profile candidates based on online habits and trends. Technological developments bring an end to the traditional ATS. Emerging markets emerge and dominate. Augmented reality and disruptive marketing dominate recruiting marketing. As companies seek to attract the best talent in a candidate short market, they set up their own courses, universities/academies, and "clone" future employees. As talent becomes more scarce, talent becomes more contract by nature and more flexible. It’s the end of recruiters as we know it ... the death of the recruiting profession? Reviewing these bullet points, some companies are already experimenting and executing on elements ,but as time passes, these will become dominant in our thoughts, plans and strategies. Let’s explore Recruitment 5.0 in more detail. Download an updated version of Recruitment 3.0 and 4.0 as well as the full 5.0 report here. 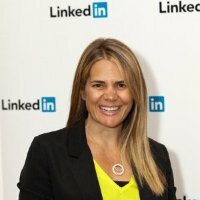 LinkedIn Talent Connect 2012: October 10-12 in Las Vegas!